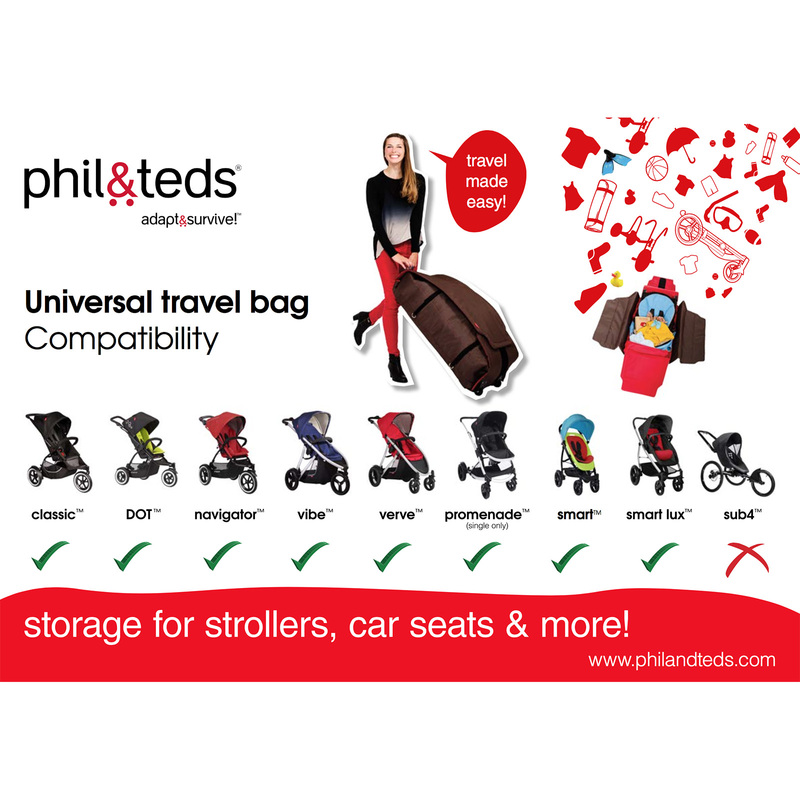 Whether travelling on trains, planes or automobiles, the Universal Carry Bag from Phil & Teds provides your pushchair with the protection it deserves. 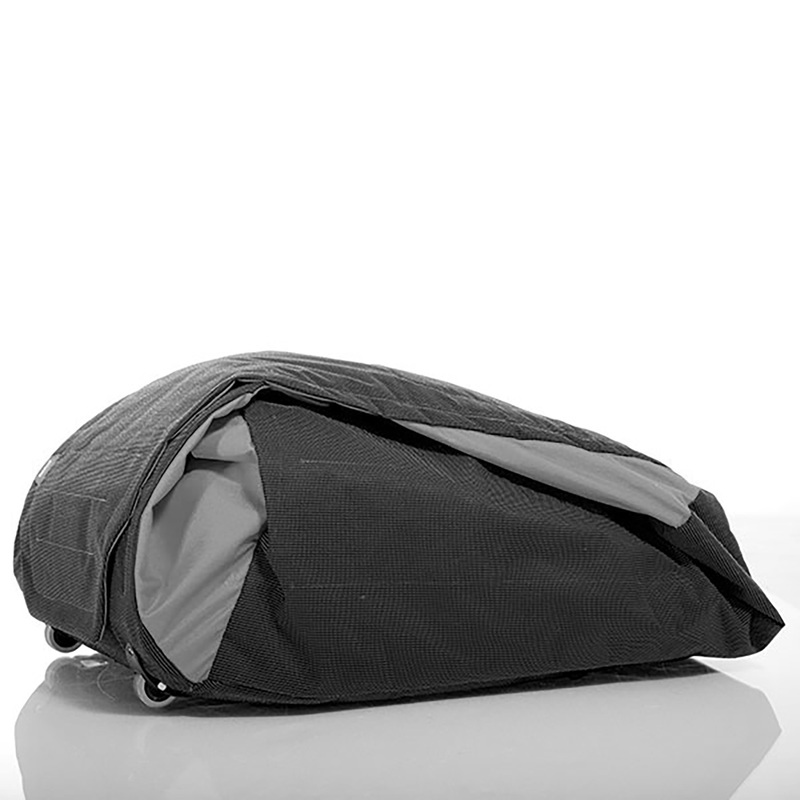 Offering plenty of space and an adjustable design, the carry bag adequately wraps your stroller in layers of hard-wearing material to protect against damage. Complete with sturdy wheels, once you have packed away your buggy, you can easily pull the bag (and stroller) along behind you making travelling a significantly less stressful experience. The Travel Bag also comes with a shoulder strap so you can carry the bag off the ground if your situation requires it. 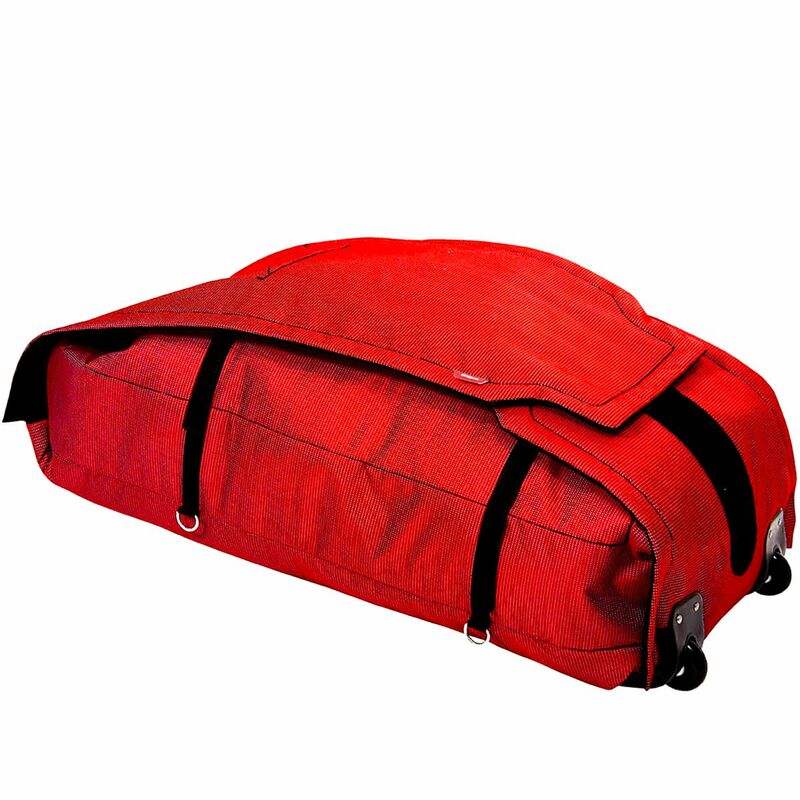 When empty, the bag weighs less than 2kg and rolls up into a compact bundle. 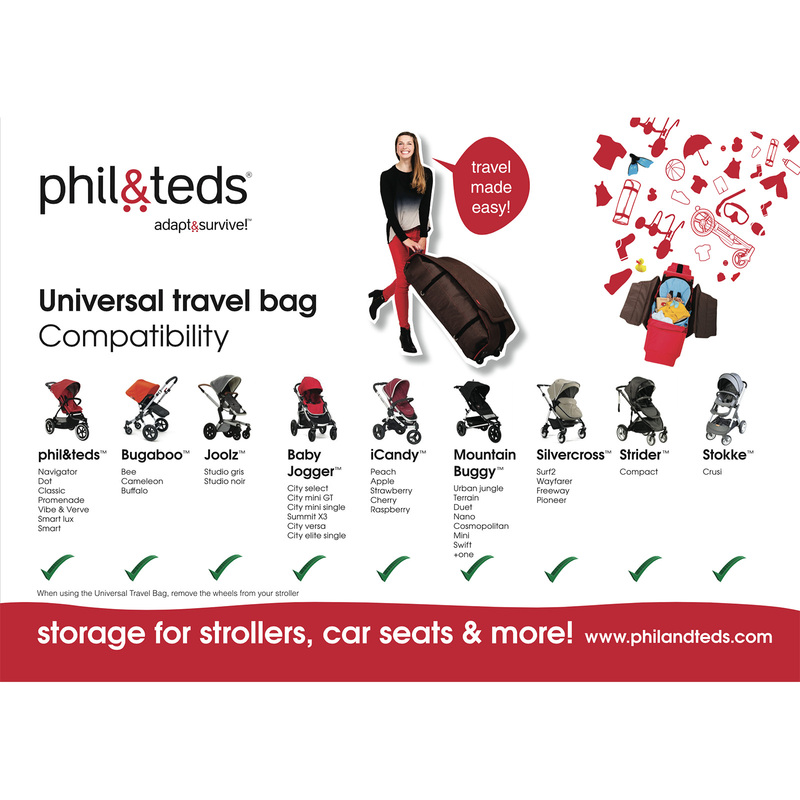 Due to the universal design, the bag not only accommodates Phil & Ted strollers, but fits most other brands too! How very considerate. 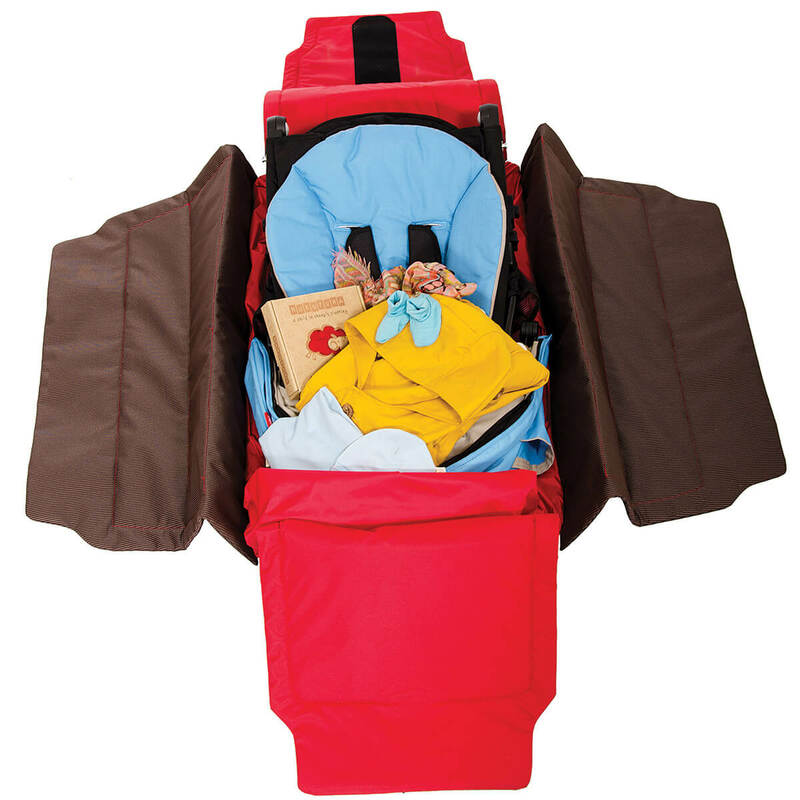 Offers all the protection your stroller or car seat deserves! Lightweight at less than 2kg! A universal fit for any Phil&Teds stroller or car seat, plus most other brands - we’re good like that!